Many people mistakenly believe that they don’t need to think about life insurance until they have children. Not true. What it one of you died tomorrow? Even with your surviving spouse’s income, would that be enough to pay off debts like credit card balances and car loans, let alone cover the monthly rent and utility bills? If you’re planning to have children, you’ll want to buy life insurance now instead of waiting until pregnancy—some companies won’t issue policies to pregnant women. Most families depend on two incomes to make ends meet. If you died suddenly, could your family continue meet all their financial obligations—from paying rent or the mortgage to daily living expenses? Could your family continue their standard of living on your spouse’s income alone? Would their plans for the future—like college stay intact? Life insurance makes sure that your plans for the future don’t die when you do. As a single parent, you’re the caregiver, breadwinner, cook, chauffeur and so much more. Yet nearly four in 10 single parents have no life insurance, and many with coverage say they need more than they have. 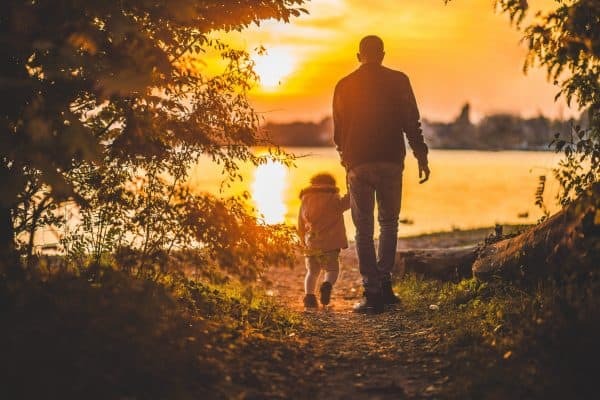 With so much responsibility resting on your shoulders, you need to make doubly sure that you have enough life insurance to safeguard your children’s financial future. Just because you don’t earn a salary doesn’t mean you don’t make a financial contribution to your family. Childcare, transportation, cleaning cooking, and other household activities are all important tasks, the replacement value of which is often severely underestimated. With life insurance, your family can afford to make the choice that best preserves their quality of life. Just because your kids are through college and the mortgage is paid off doesn’t necessarily mean that you no longer need life insurance. If you died today, your spouse will still be faced with daily living expenses. Would your financial plan, without life insurance, enable your spouse to maintain the lifestyle you’ve worked so hard to achieve now and into retirement? Depending on the size of your estate, your heirs could be hit with an estate-tax payment of up to 45% after you die. The proceeds of a life insurance policy are payable immediately, allowing heirs to take care of these taxes, funeral costs and other debts without having to hastily liquidate other assets, often at a fraction of their true value. Life insurance proceeds are also generally income tax free and won’t add to your estate tax liability, if properly structured. Besides taking care of your family, life insurance can also protect your business. What would happen to your business if you, one of your fellow owners or a key employee died tomorrow? Life insurance can help in a number of ways. For instance, a life insurance policy can be structured to fund a buy-sell agreement. This would ensure that the remaining business owners have the funds to buy the company interests of a deceased owner at a previously agreed upon price. That way, the owners get the business and the family gets the money. To protect a business in case of the death of a key employee, key person insurance, payable to the company, provides the owners with the financial flexibility needed to either hire a replacement or work out an alternative arrangement. Most single people don’t need life insurance because no one depends on them financially. But there are exceptions. For instance, some single people provide financial support for aging parents or a sibling with special needs. Others may be carrying significant debt that they wouldn’t want to pass on to family members who survive them. Insurability is another reason to consider life insurance when you’re single. If you’re young, healthy, and have a good family health history, your insurability is at its peak and you’ll be rewarded with the best rates on life insurance.